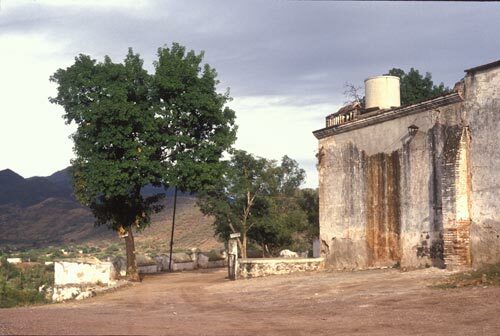 Alamos Centro wraps around Guadaloupe Hill with the jail at the top. “The jail was closed about five years ago and some stabilization and restoration of the jail has taken place. The front portion is beautiful and used as the ‘Cultural Center’ for the village and is ideal for art shows, using the first two rooms as large galleries, with the jail yard and cells always open for public viewing. The new jail is at the edge of town next to the airport on the San Bernardo road (next to the seldom used ball field). It’s a very nice complex with a separate jail building, car impound area, etc. Presently the project is being finished with sidewalks going past the airport, a newly paved road (remember the washboard before) and curb and gutter. A great improvement over the old road and really looks first class. The road project by the way is Alamos to San Bernardo (a new large bridge now spans the Mayo River just before San Bernardo),then to Queriego and on to Cd. Obregon on existing paved roads. Just above San Bernard a new dam has been approved (possibly started) which will be about 2/3rds the size of Mocuzarit. The name of the new dam is Los Pilares. We had our first rain this week and a little green is beginning to arrive. One more rain and then the transformation takes place. ” 6-27-12. The jail is its own world, its own community, isolated but connected. This was not a country club. 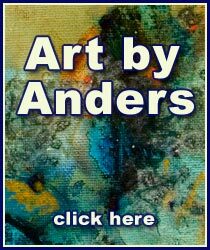 From the jail’s office displaying inmate crafted wares one could peek into the jail”s open court. Inmates were dependent on family or friends, on the outside, to help with food and other needs. I remember two inmates arriving under armed guard at the hospital for medical checkups. A sense of awe and curiosity swept through the crowded waiting area. Outlaws were walking amongst the villagers. 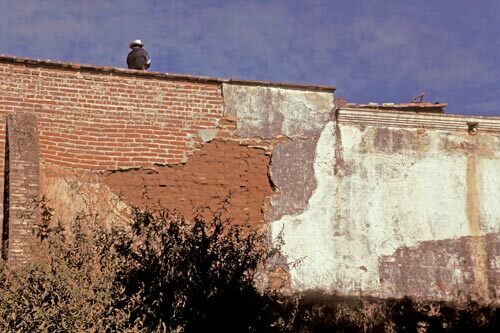 With Alamos being a small town many knew the inmates. Others wondered what the inmates had done? The inmates did not have to wait, in they came and away they went. 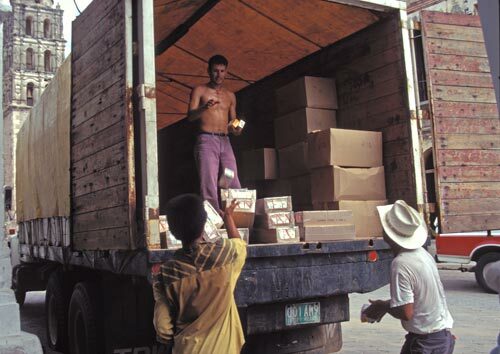 Food and supplies are loaded into a truck headed to the rural villages. 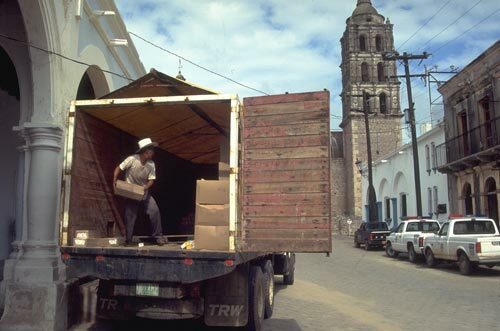 A weekday morning on Calle Comercio as aid supplies are loaded up to be delivered to the surrounding villages. These supplies were stored in an office next to the police department. Police trucks can be seen in the background. They were there day and night. Loading up a truck ready to travel rough country roads. Every little bit helps. Life in the the small villages is as close as to the old days as we can get in this era of mass consumerism. Many families are poor without all the modern conveniences. But they have their families and they have the days and nights and they have what is happening around them. And soon they will receive something from this truck. 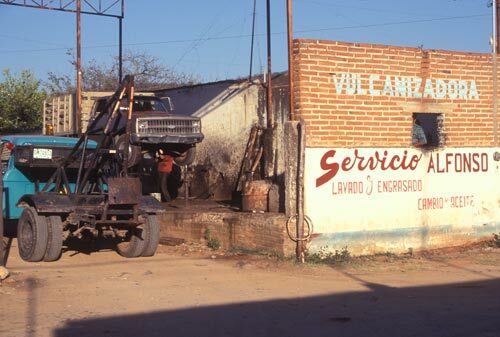 Truck, auto and tire repair on the old El Camino Real. This road would have taken you, back in the days when it was the King’s highway, all the way north to Petaluma, California. In those days travel would be by foot, horseback or in wagons. A day’s travel would be about 20 miles, the distance short legs could walk in relative comfort. The 1200 miles of El Camino Real can now be retraced by driving the Juan Bautista de Anza National Historic Trail from Nogales, Arizona to San Francisco, California. “As you may know, Alamos is now being discovered by Mexico. It has been an interesting phenomenomen to watch during the past fifteen months. 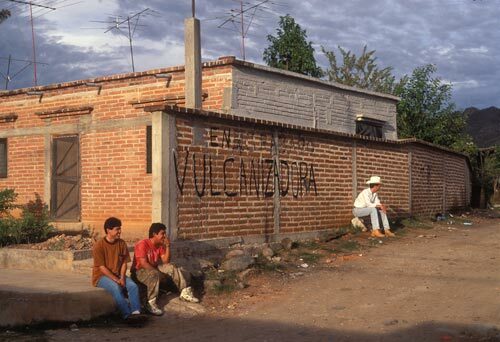 With the filming of the novela ‘La Fuerza del Destino’ beginning in January of 2011, then the airing of the 170 episodes, the village became known throughout Mexico. We are seeing more and more Mexicanos at Hacienda de los Santos who are wanting to experience ‘Old Mexico’, or have their children and grandchildren get a glimpse of the magic.” 5-30-12. This page took 0.322 seconds of computer labor to produce.